A panoramic photograph of British World War Two military vehicles deep inside a shipwreck sees German photographer Tobias Friedrich named as Underwater Photographer of the Year 2018. Friedrich’s photograph, taken off the coast of Ras Mohammed in Egypt, triumphed over 5,000 underwater pictures entered by photographers from across the world. ‘Cycle War’ was taken in Egypt and shows Norton 16H motorbikes loaded in the SS Thistlegorm, with soldierfish schooling above. Grant Thomas won the title of British Underwater Photographer of the Year. 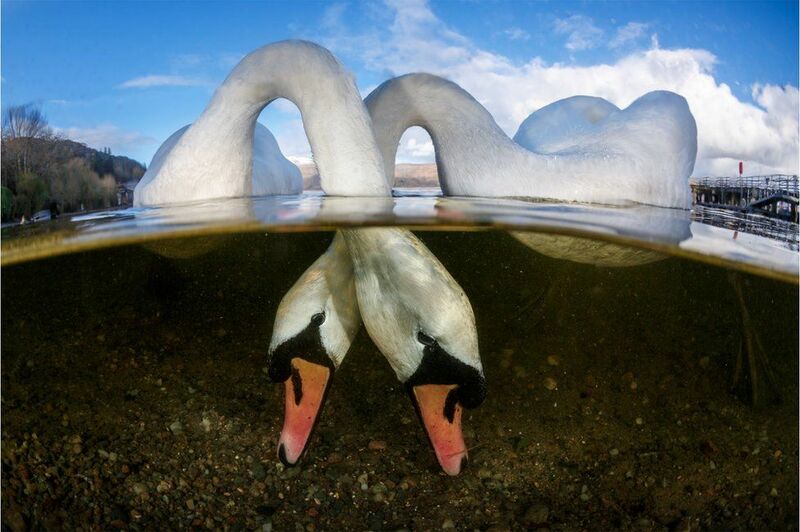 His image of swans, titled ‘Love Birds’, was taken in Scotland’s Loch Lomond. The competition: had 11 categories, testing photographers with themes such as Macro, Wide Angle, Behaviour and Wreck Photography, as well as three categories for photos taken in British waters. 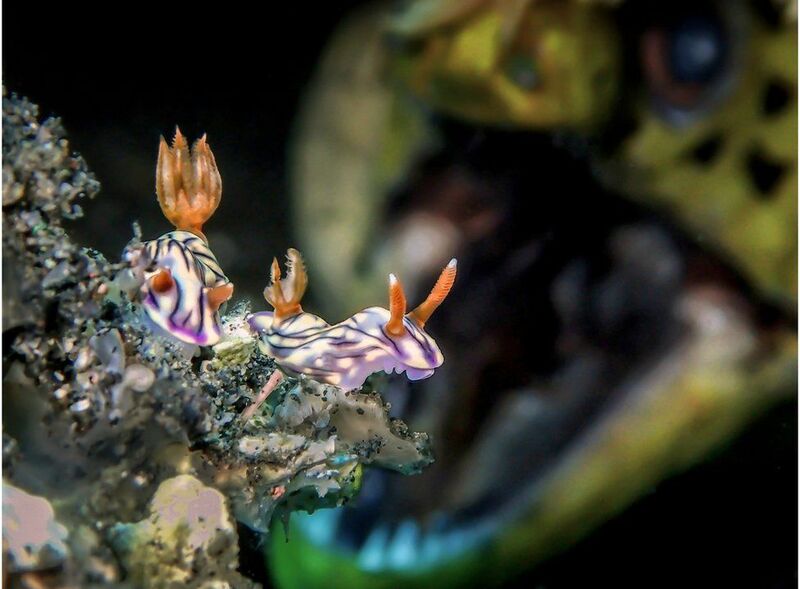 Image caption: Abdul Rahman Jamaludin’s image of sea slugs features a surprising backdrop of a moray eel, which swam into the reef as he was taking his image. 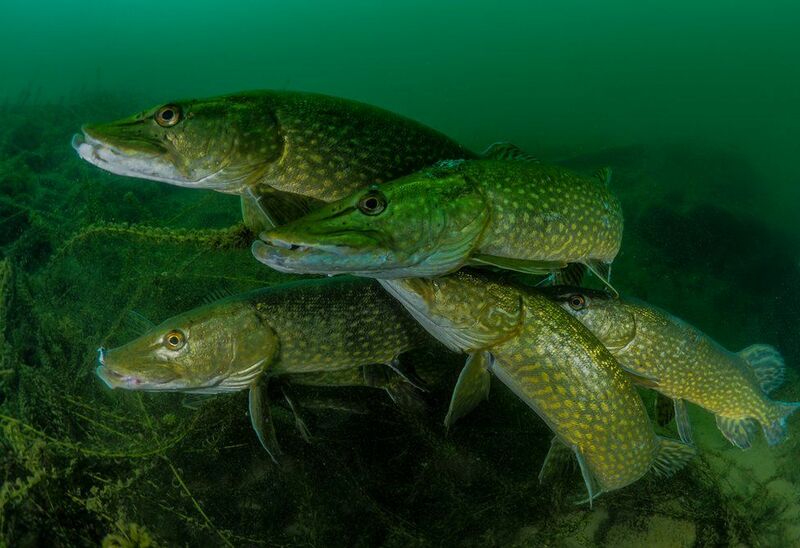 Image caption: Leicester-based Tony Stephenson managed to find these pike in the quarry at Stoney Cove, a popular scuba diving site. Image caption: When a whale is spyhopping, it emerges from the water vertically, pausing in its position. 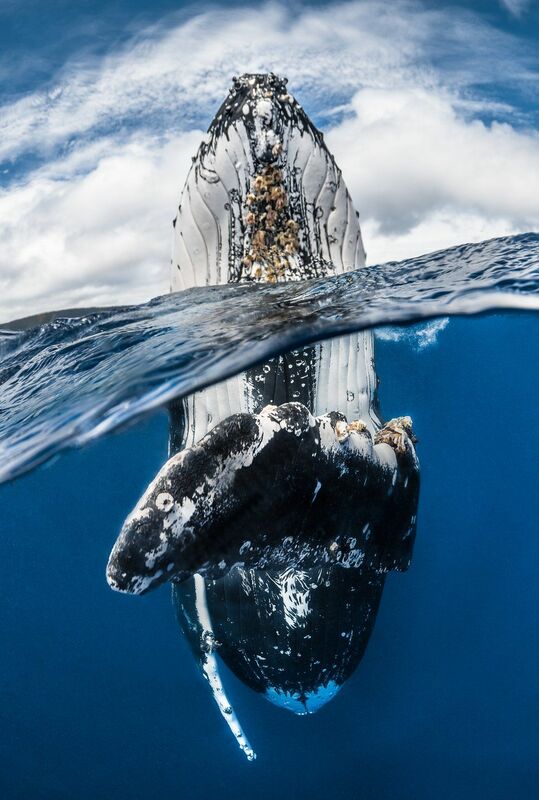 Greg Lecoeur captured this humpback as it moved its pectoral fin towards the camera. 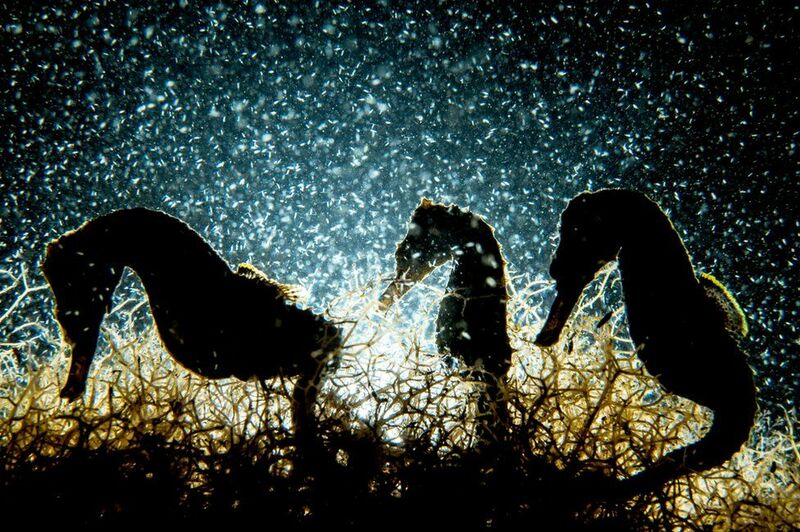 Image caption: Shane Gross’s photograph was taken in a pond with a very high density of seahorses, yet he was still amazed that he managed to capture these three together, backlit and surrounded by plankton. Image caption: Shark behaviourist Cristina Zenato has been studying Caribbean reef sharks near Freeport in The Bahamas for more than 24 years. 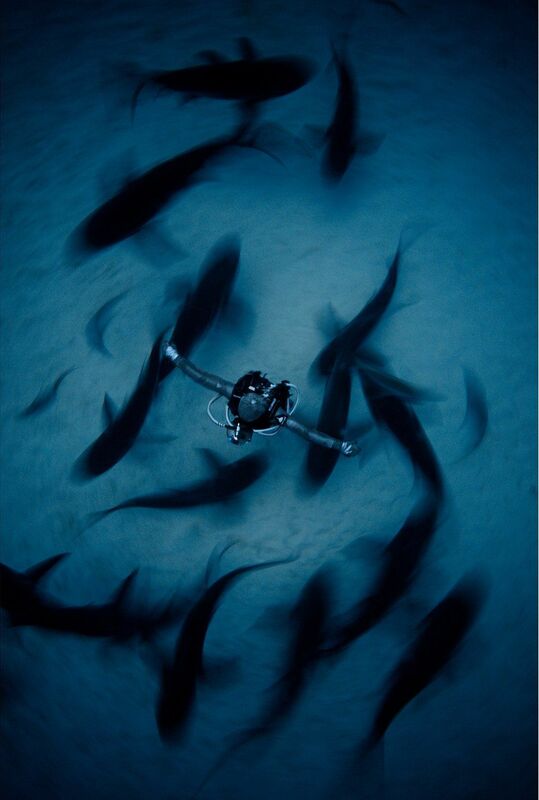 The unique bond between her and the sharks allows her to get close to them, enabling this impressive image by Fan Ping. 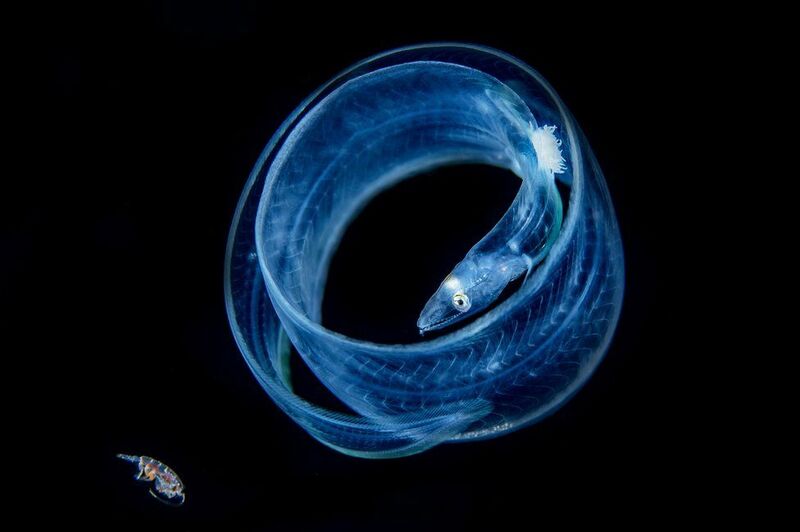 Image caption: Although Songda Cai has had many encounters with eels, this is her favourite image of the creature, looking at her camera from inside its coiled body. 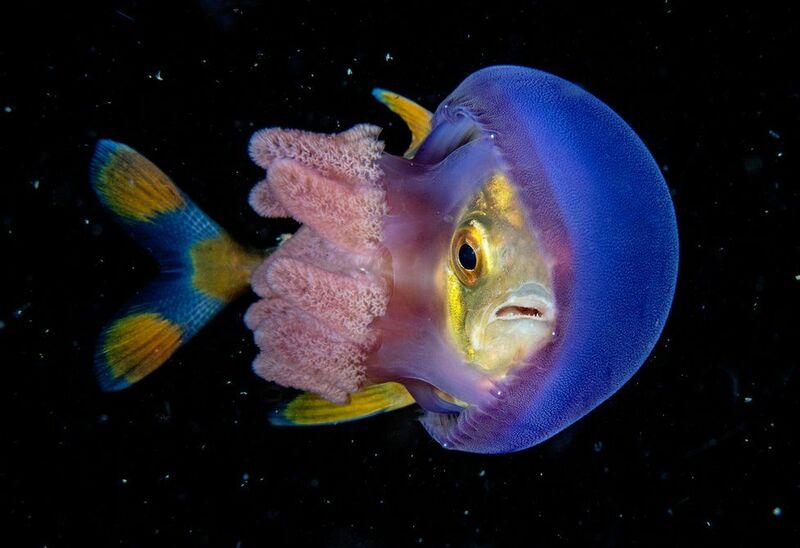 Image caption: A fish had managed to wedge itself between the bell and the tentacles of a jellyfish, and the two were moving along together. This strange combination turned towards Scott Gutsy Tuason after he had taken 20 photos, and he was able to get this fantastic shot. 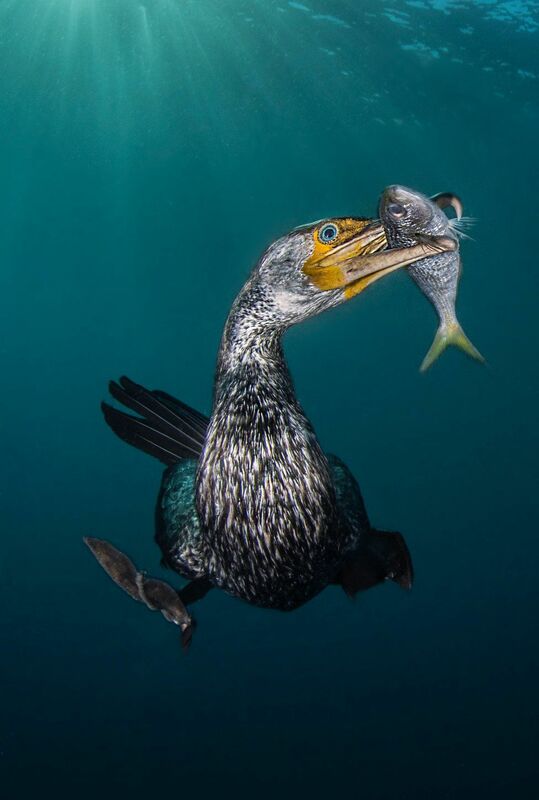 Image caption: It took two days of standing in shallow waters from 05:00 to 08:00 for Filippo Borghi to get this image of a cormorant diving for fish in the Izu Peninsula, Tokyo. 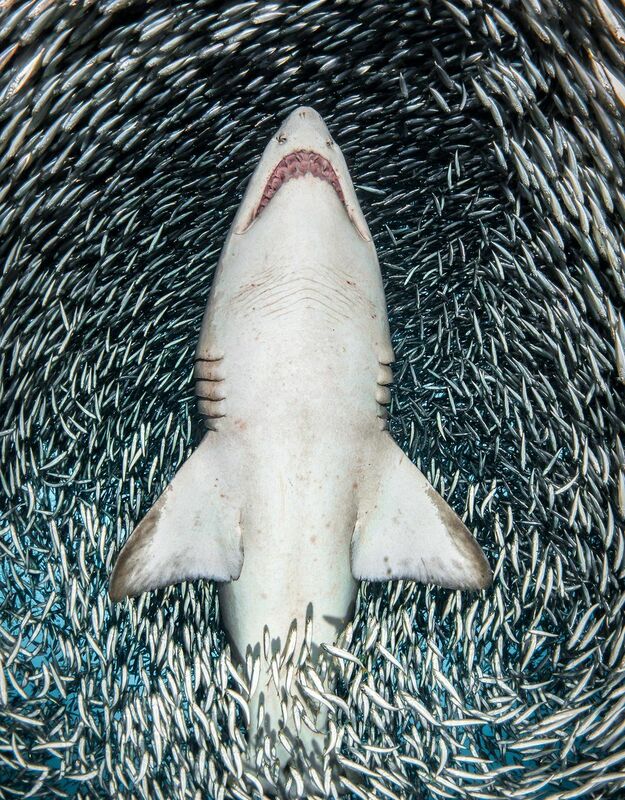 Image caption: Tanya Houppermans swam on her back underneath this sand tiger shark, trying not to startle it as millions of tiny fish swam around it. 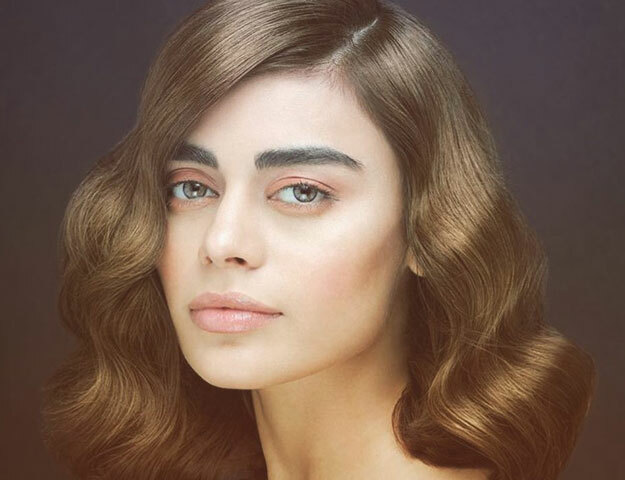 As she moved with the shark through the water, the fish parted and the underside of the shark was revealed. 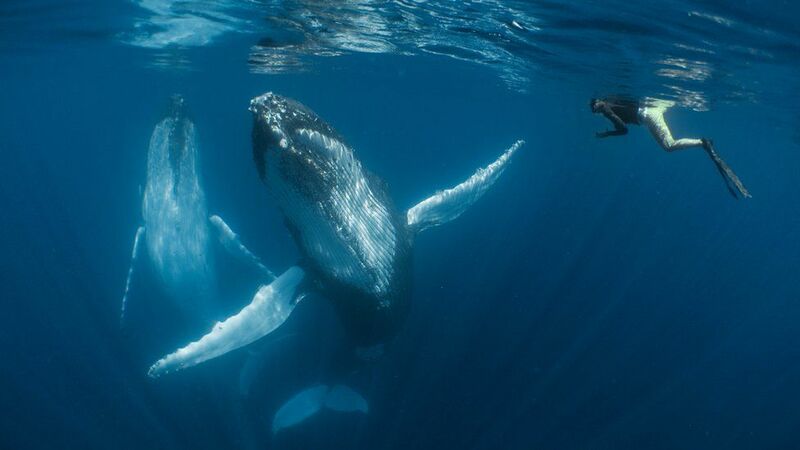 Image caption: These humpback whales were swimming by the Haʻapai islands of Tonga when Simone Matucci and his wife were diving. “It was the most wild and incredible thing I have probably witnessed in my entire life” he says. 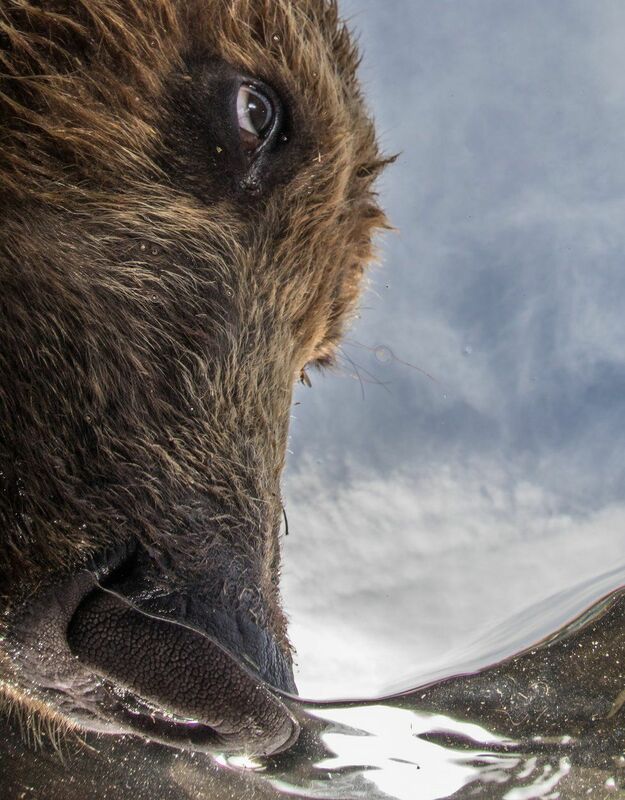 Image caption: Kurile Lake in Russia has a very high concentration of bears, which is why Mike Korostelev placed his remote camera in its shallow waters. He captured this bear extremely close up, hunting for salmon. 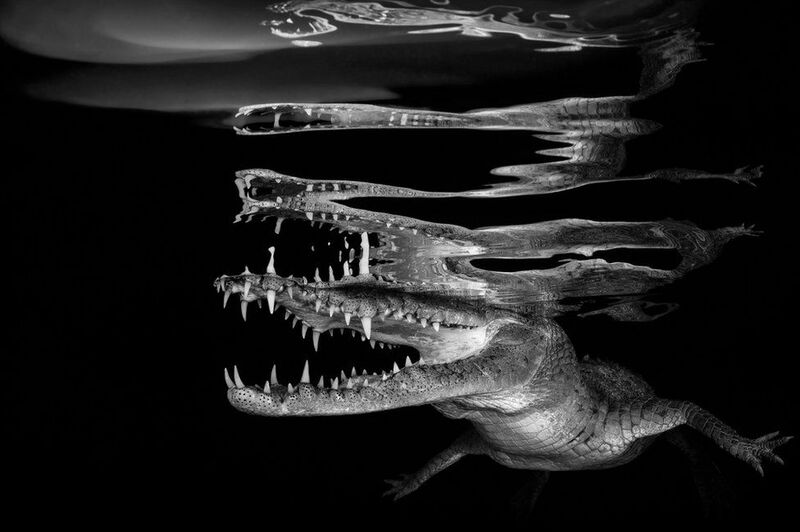 Image caption: Borut Furlan shot seawater crocodiles in Cuba in the low evening sunlight, capturing their reflections in the still waters of the surface. The Leuser Ecosystem is a UNESCO World Heritage Site in northern Sumatra and one of the largest single continuous blocks of tropical rainforest left in the whole of south-east Asia. It is also home to the orangutan, one of the region’s most endangered species. 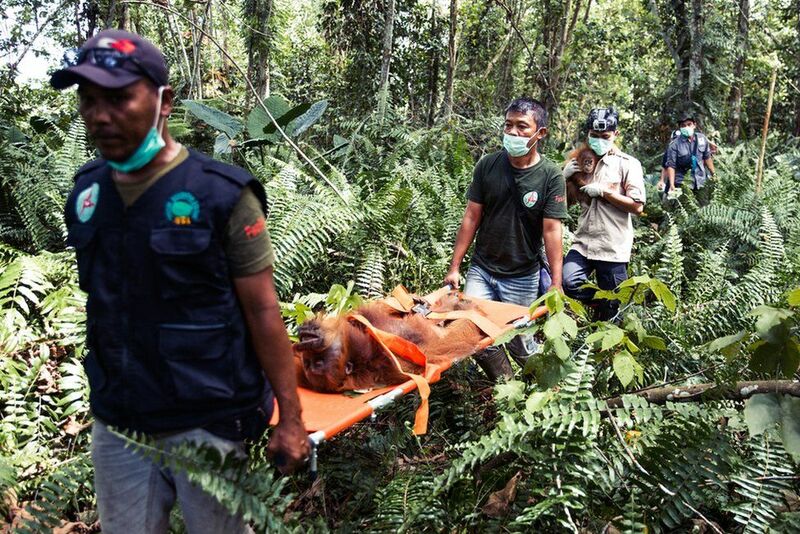 Despite Leuser’s World Heritage status, it is under continued threat from deforestation by palm-oil plantations, affecting both the fragile ecosystem and critically endangered iconic wildlife. 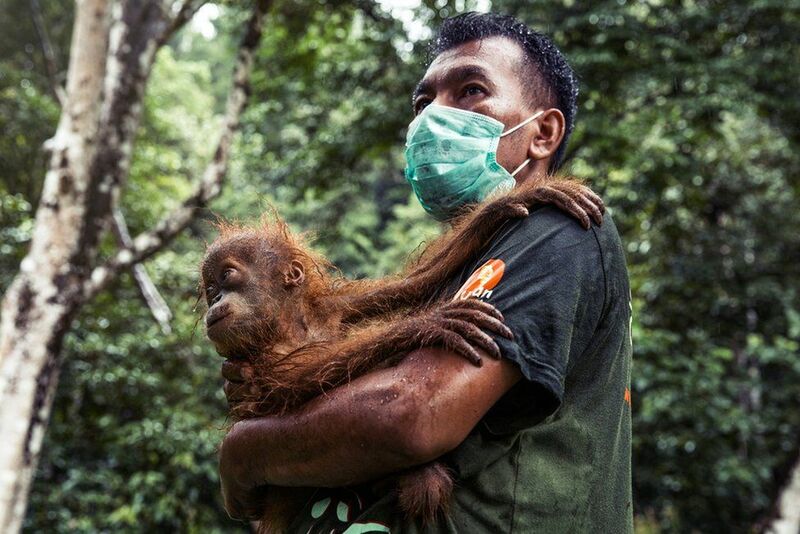 Photographer Charlie Dailey travelled to Sumatra to document the efforts to relocate orangutans in immediate danger. 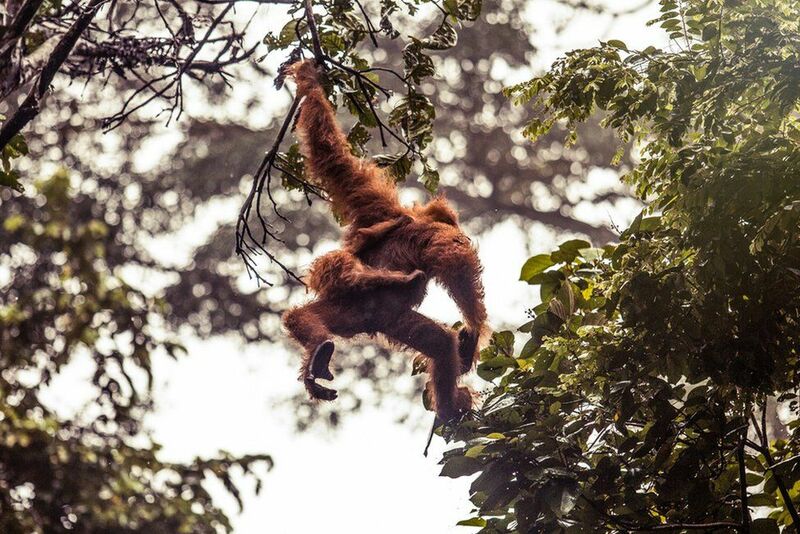 The rainforests are the natural habitat of the Sumatran orangutan. 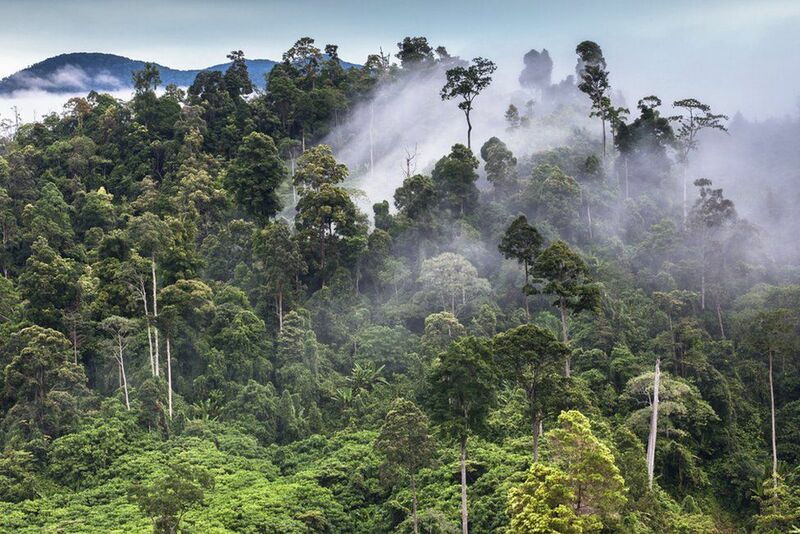 A large proportion of the population lives in the borders of Leuser, with the highest density in the lower peat-swamp regions of Tripa, Kleut and Sinkhil – primary tropical forest with canopies up to 40ft (12m) high. 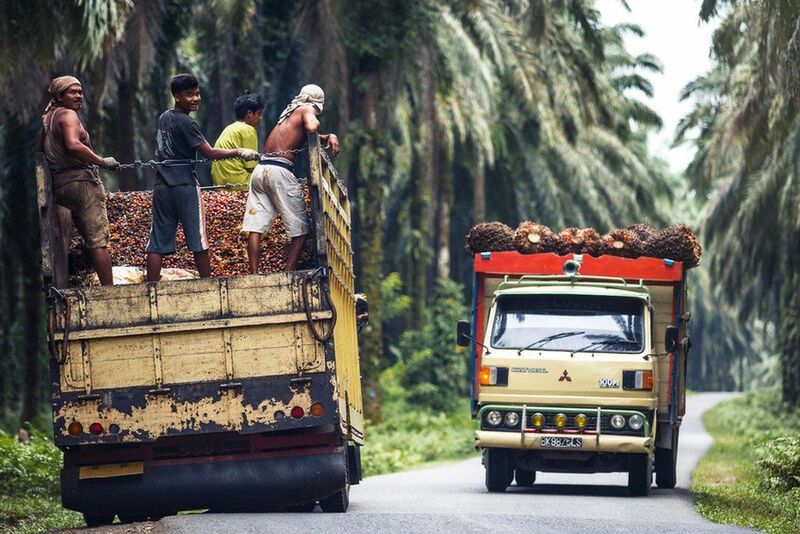 When a palm-oil company moves into an area, large swathes of forests are felled to make way for plantations. 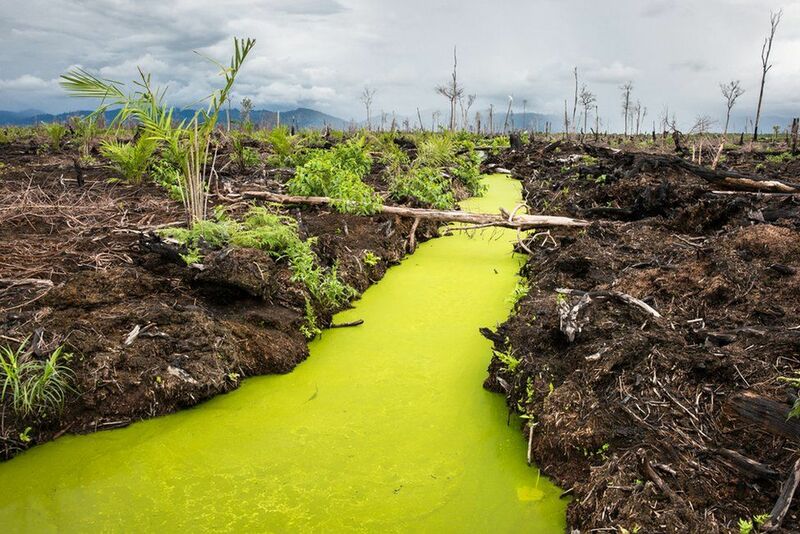 To plant on the waterlogged peat-land the companies have to create drainage canals. 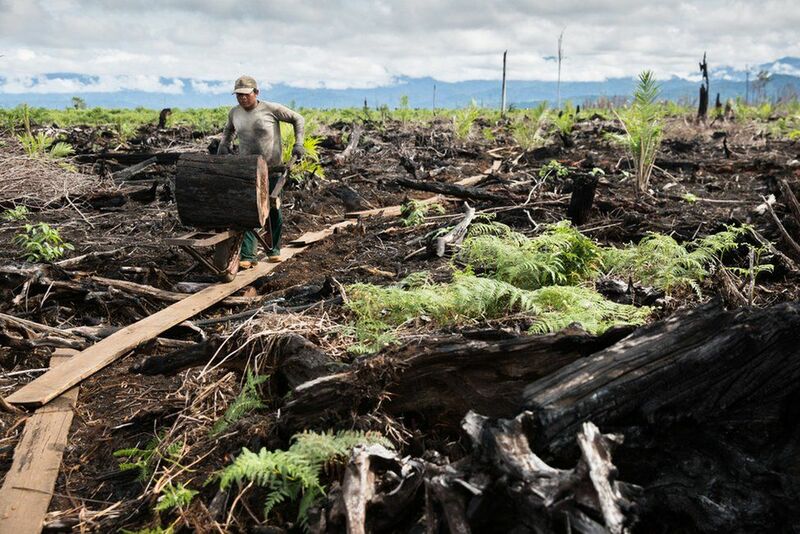 The orangutans are displaced as the trees of old-growth forests are burned. Palm oil is used in approximately 50% of supermarket products, from food and snack manufacturing to cosmetics and pharmaceutical products. 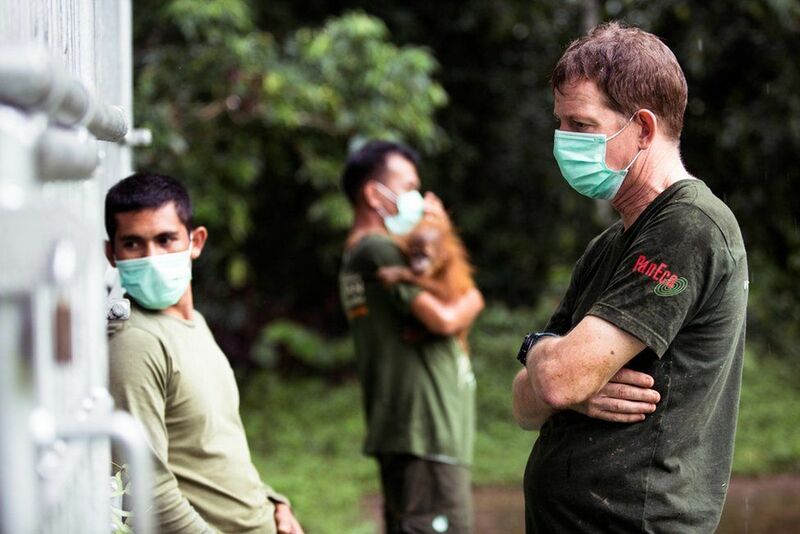 Dr Ian Singleton, director of the Sumatran Orangutan Conservation Programme (SOCP), has been working with orangutans in Sumatra for more than 20 years and is committed to their preservation, which means, among other things, confiscating those illegally taken as pets and returning them to the wild. 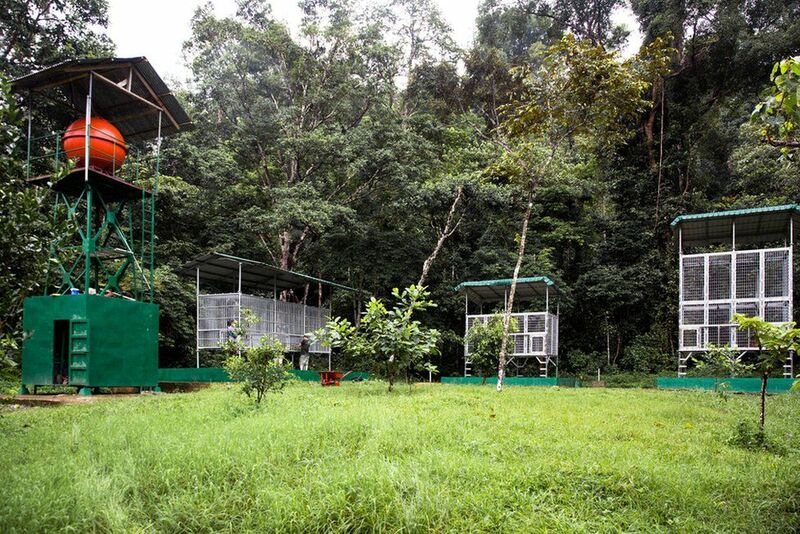 The SOCP team also focuses on rescuing and relocating wild orangutans that have become isolated from their natural habitat. Once rehabilitated, these are released back into the wild. The SOCP is creating two new viable satellite breeding populations in the hope of safeguarding the species. To date more than 350 have been released into the new sites. 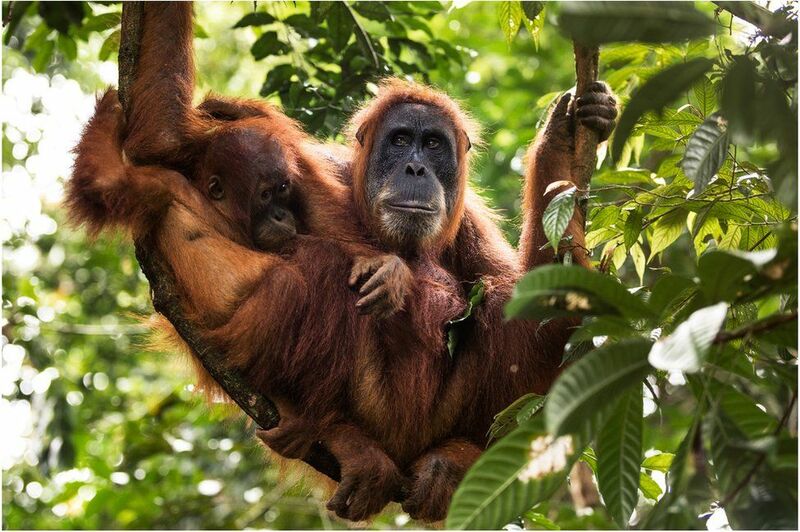 One of the SOCP’s field teams had been alerted to the presence of a mother and baby located in a high-risk area of Tripa, one of the most heavily deforested regions of Leuser. The pair had been hemmed into a tiny part of surviving forest, surrounded by palm-oil plantations. 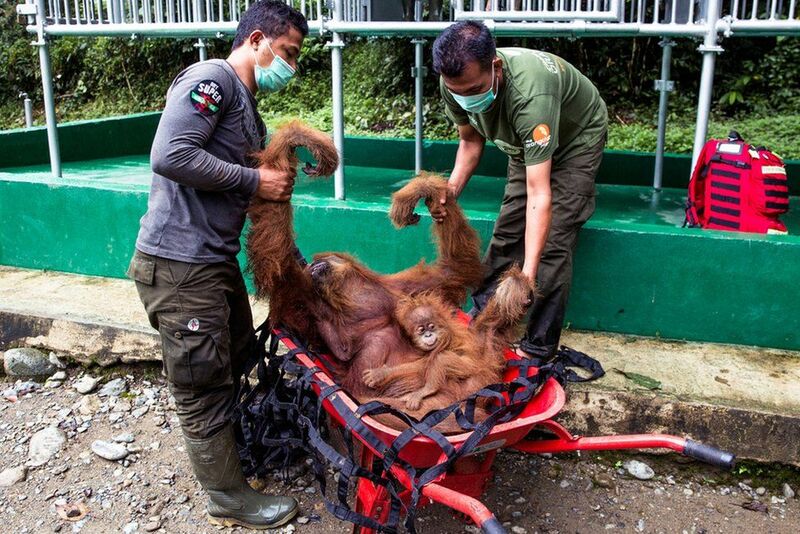 The team was able to sedate them safely so that they could be taken to a safe forest site in Jambi, where they were released. 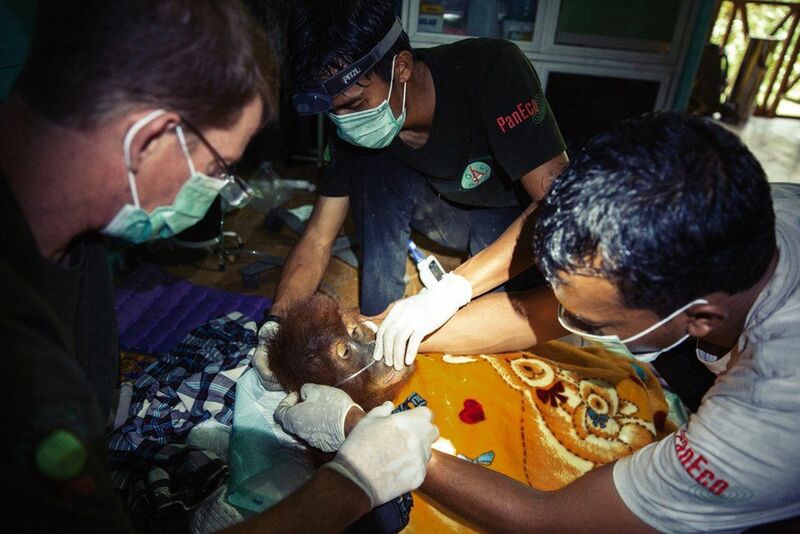 As the rescued pair disappeared into the canopy, Dr Singleton said if the Leuser ecosystem could not be protected from the palm-oil companies and further industrialisation, the Sumatran orangutan would become extinct in the wild. All photographs copyright Charlie Dailey.